Montreal is a culinary hotspot in North America. 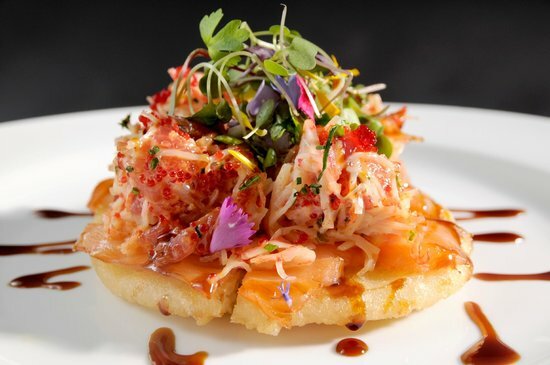 It is famous for its culinary classics but it embraces new food trends also easily. From the old Montreal to the trendy Mile End, and from Atwater market in Little Burgundy to Jean Talon one will find many restaurants, eateries, coffeeshops, depanneurs (convenience shops), chocolatiers, markets and butchers that will surprise you with their delicacies. Often inspired by European cuisines. In the trendy neighbourhood one can find the small bakery of St Viateur. Here the fire is on all day, to bake the best bagels of Montréal. Or perhaps the best bagel of the World. According to Montréalers their bagel is much better than the ones baked in New York. 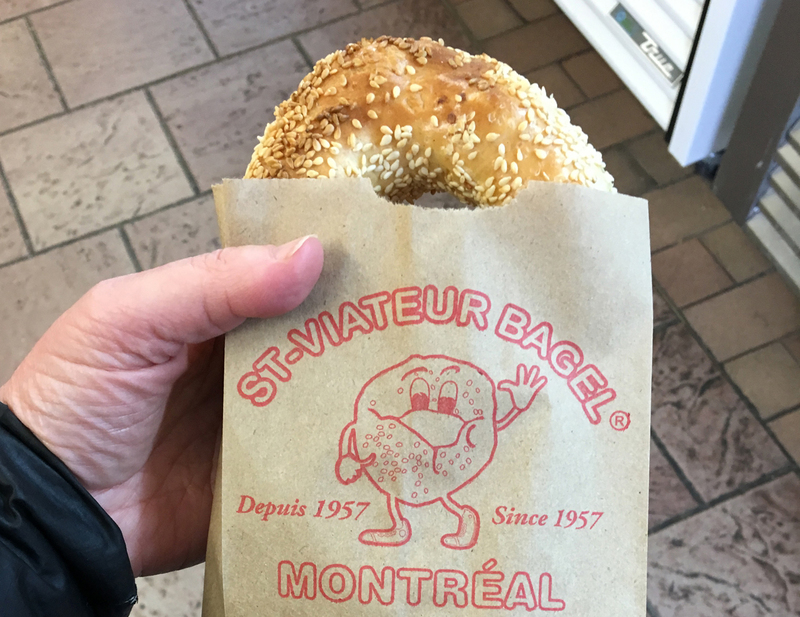 St Viateur bagel is served with cream cheese only and is packed in a simple brown paper bag. Along the old main street, Bouleverd Saint Laurent, one can found charcuterie/ deli Schwartz. It is there for 88 years. 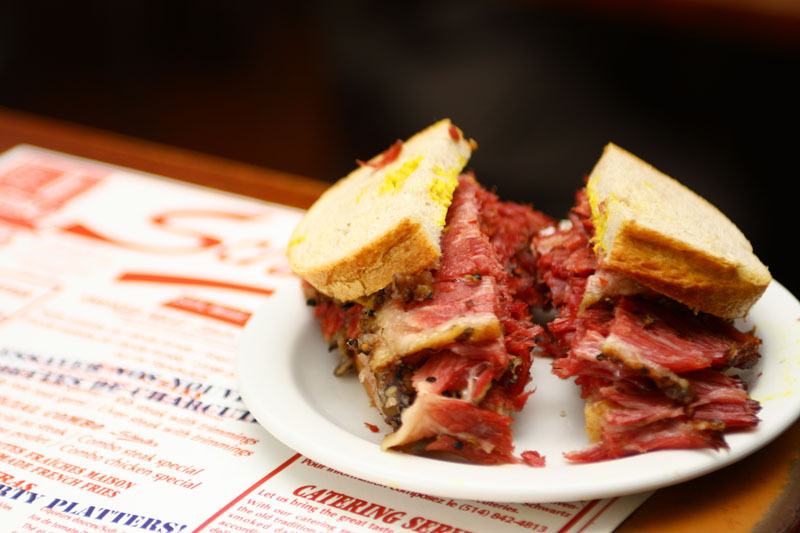 Everyday tourists and locals are lining up to get their hand on the famous smoked meat sandwich. The brisket is spiced with garlic, coriander and mustards seed and ripened for 10 day. Schwartz smoke their meat daily and do not use any preservatives. That should be the reason why its tasting so good. On every corner, shop or restaurant you will find wraps and flatbreads. Supermarkets offer assortments up to 30-50 variants of flatbreads. From pitas to Mexican tortilla’s, from Lebanese flatbreads to Italian piadines. Made from wholegrain or quinoa flour, with increased proteins or fibres and mixed with vegetables like beets, spinach and carrots. 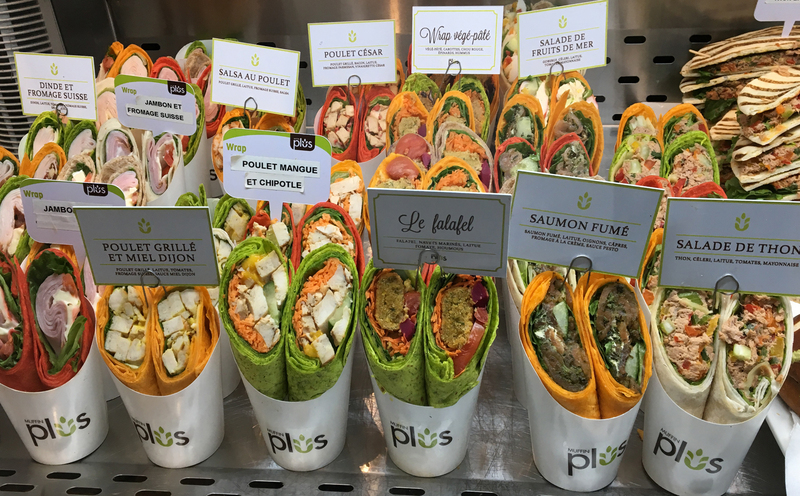 In eateries, counters present richly filled wrap in all colours of the rainbow. This is probably the Canadian solution for eating less carbs without giving in to convenience or tastiness. The Canadians have a big love for ‘small’. Therefore, you see all kind of food entrepreneurs using names with ‘petit, small of tiny’ in its name. Like ‘my little cup’ coffee and convenience store ‘le petit dep’. Often these businesses are linked with a European cuisine. These small businesses are liked so much because they give the Montréaler a sense of uniqueness. One thing is for sure, Montréalers like to set themselves apart from the rest of North America. They think they have better taste, are more connected to Europe and have a richer culinary culture than the rest of the continent. There are many sushi restaurant around the world, but no where you can find such a great creativity with rice, fish and seaweed as here. Montreal sushi eateries offer next to the well-known sushi, sashimi and poké bowel also sushi taco’s, burrito’s and pizza’s. This last one is a disc made of sushi rice with ingredient on top of it. Hungry for more food trends (from Canada)? Consider a trend consult with Marielle Bordewijk and she will focus om the trends most relevant for your food business. The best bagel of Montréal; St Viateur bagel in Mile End.